Step into your day with a heart full of gratitude and hope knowing that God has you in the palm of his hand. 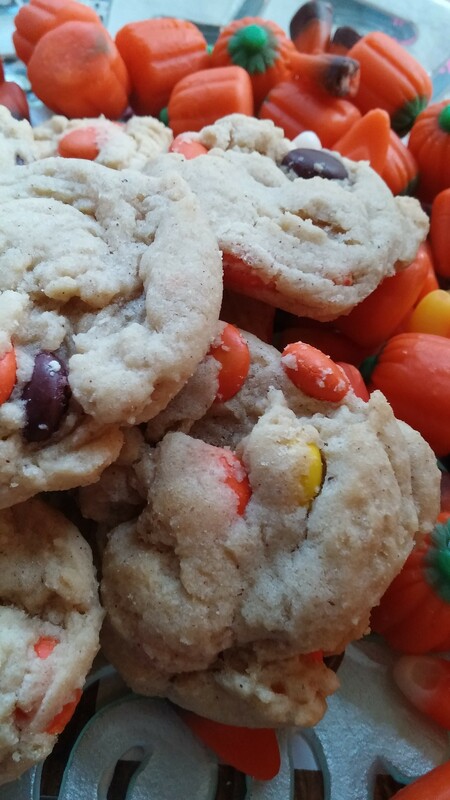 My new cookie is a creation inspired by the flavors of Fall! 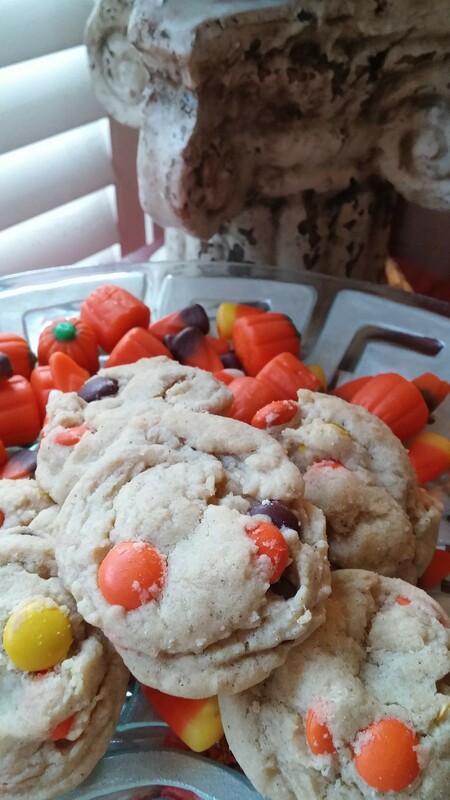 I used a chocolate chip cookie recipe that I frequently make and changed it to taste like Fall! Give it a try and share some with your friends! ENJOY! a full 3/4 cup Reese pieces1. Preheat the oven to 350 degrees F. Line a baking sheet with parchment paper. 2. In medium bowl, whisk the flour, salt, baking soda and spices together. Set aside. 3. In the bowl of a stand mixer, cream the butter and sugars together until creamy and smooth. Add in the egg and vanilla. 4. Slowly mix in the flour, until combined. Stir in Reese pieces. 5. Using the small scoop for the dough. 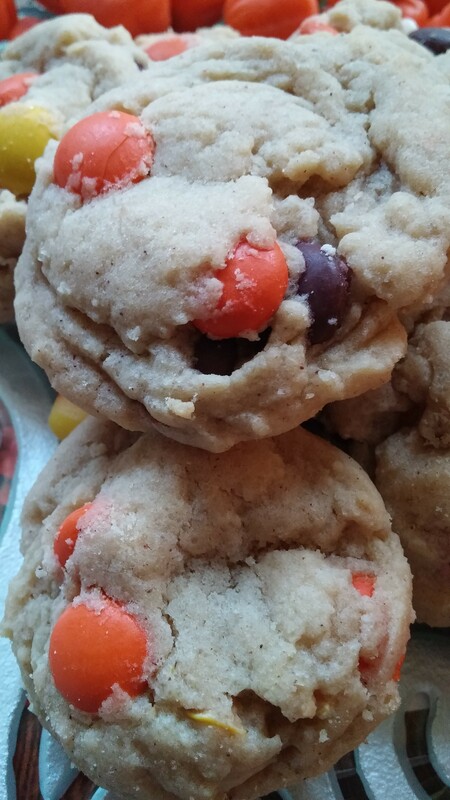 Place on baking sheet and slightly flatten with the palm of your hand. Bake for 8 minutes or until cookies are golden brown and set. Remove from the oven and let cool on baking sheet for two minutes. Transfer to a wire rack to cool. DELICIOUS!